LTspice is freeware computer software implementing a SPICE simulator of electronic circuits, produced by semiconductor manufacturer Linear Technology (LTC).Using and learning LTspice software helps you to improve on circuit design. 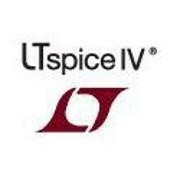 I love LTSpice very much, it is very powerful indeed. I built a RF power splitter and been comparing actual test results to simulations, and boy they sure come close. I want to do a little write up later after I compile all my test results and put it down on paper. When doing filters and RF things: I add the wire resistance to an inductor. I also add parallel capacitance to get the self resonance right. Large capacitors also have self resonance. I add the ESR and ESL to make the part simulate better.